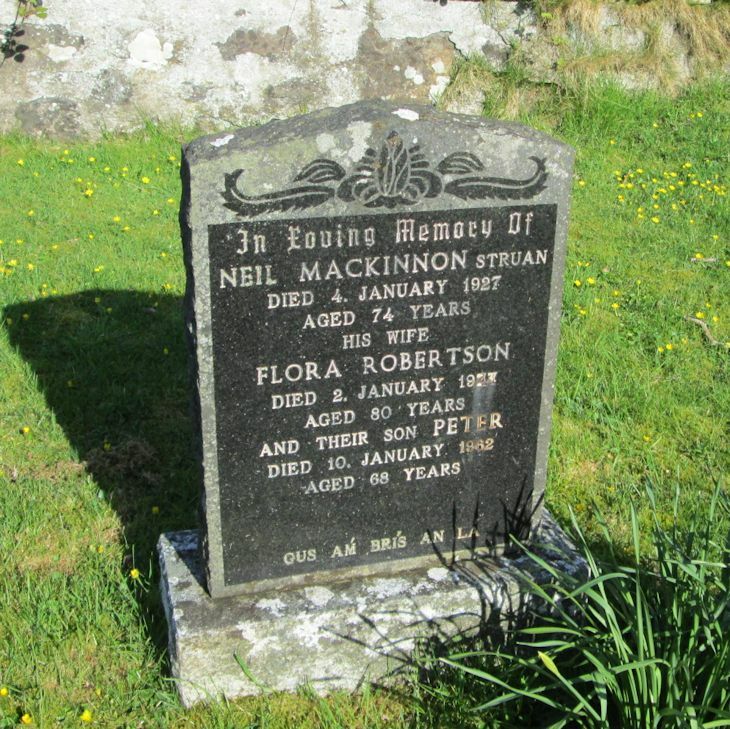 Skye Gravestones | Neil & Flora (Robertson) Mackinnon, s. Peter. Neil & Flora (Robertson) Mackinnon, s. Peter. In loving memory of/NEIL MACKINNON Struan/died 4 January 1927/aged 74 years/his wife/FLORA ROBERTSON/died 2 January 1947/aged 80 years/and their son PETER/died 10th January 1962/aged 68 years.